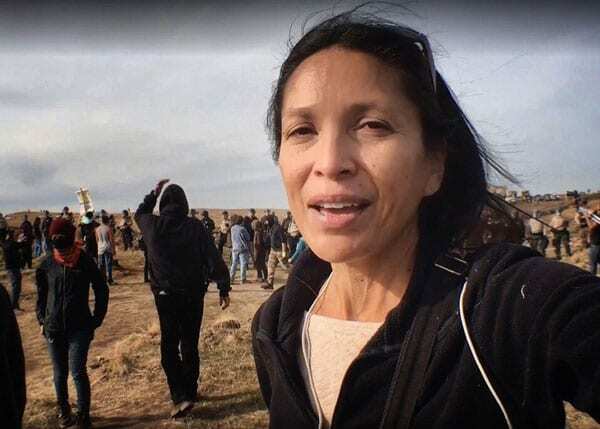 Two years ago on Thanksgiving Day, independent and award-winning Indigenous journalist Jenni Monet reported on an Indigenous-led movement to halt the Dakota Access Pipeline. The demonstration took place along the banks of the Canté Peta Creek on the borderlands of the Standing Rock Sioux reservation. Her story, for which she spent months camped out with protestors on historic treaty land, received national attention. Monet was even arrested for trespassing when covering the incident. She was later found not guilty. So, why was the edited version of her Standing Rock story almost published with the title “Thanksgiving at Standing Rock, Activists Dig In”? The Thanksgiving reference was irrelevant—not to mention that it’s doubtful many Native Americans would thrill to see the Standing Rock protests portrayed in this way. Fortunately, when Monet objected, the High Country News editor changed the title. The article was published as “At Standing Rock, activists dig in on historic treaty land,” but you can see the original title reflected in the URL. The author recognizes the benefits of having a larger forum in brand-name outlets for talking about issues facing Native Americans. The Guardian allowed for significantly more space for her October 2018 story about a downtown Minneapolis tent city composed primarily of Native Americans. Still, she understands that to get published in brand name media outlets you have to be willing to negotiate. The trade-off may come at a high price. She recalls being embarrassed by the attachment of her byline to the improper spelling of the acronym for the American Indian Movement, or AIM. The published article lower cased it to “Aim.” Monet protested, but the publication’s style guide prevailed and “Aim” it would stay. Monet has become discouraged by the lack of understanding of indigenous preferences in language and ideology she has observed when working with her traditional media clients. Negotiating the editing of that story was so painful for Monet that since October, she has been self-publishing Indigenous accounts of the news. Monet is not alone in her struggles. Late last year, National Observer contributor Emilee Gilpin interviewed five prominent First Nations and American Indian journalists, who discussed their own challenges and their own approaches to breaking through and being heard.